Lauretta Jean’s Pie Flyer: Father’s Day, S’mores Cake, Rosé Spritz and more! We’ll also have whole pies and quiche available to take home for your Father’s day BBQs and celebrations. 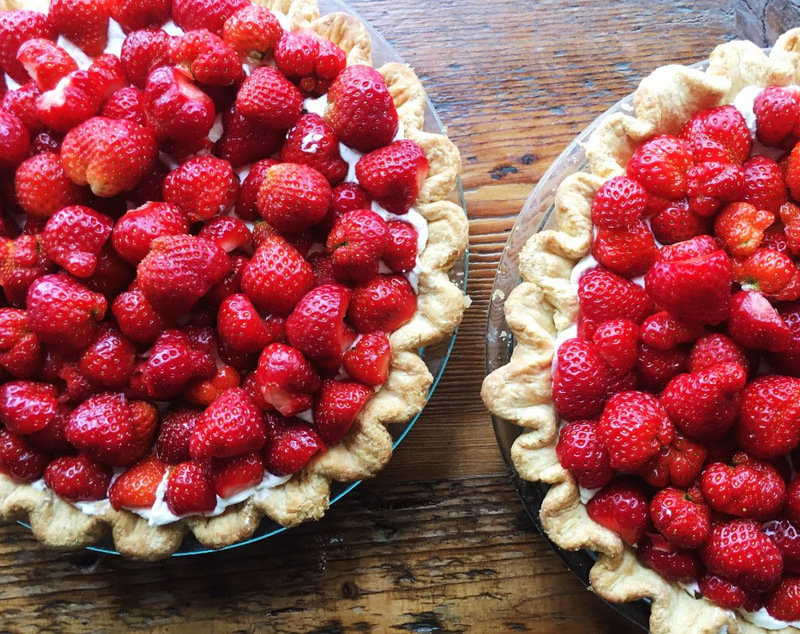 Strawberry season is in full swing and we’ve got all sort of goodness available: Strawberry Sweet Cream, Strawberry Short Pie, Strawberry Rhubarb, and Rhubarb Streusel. 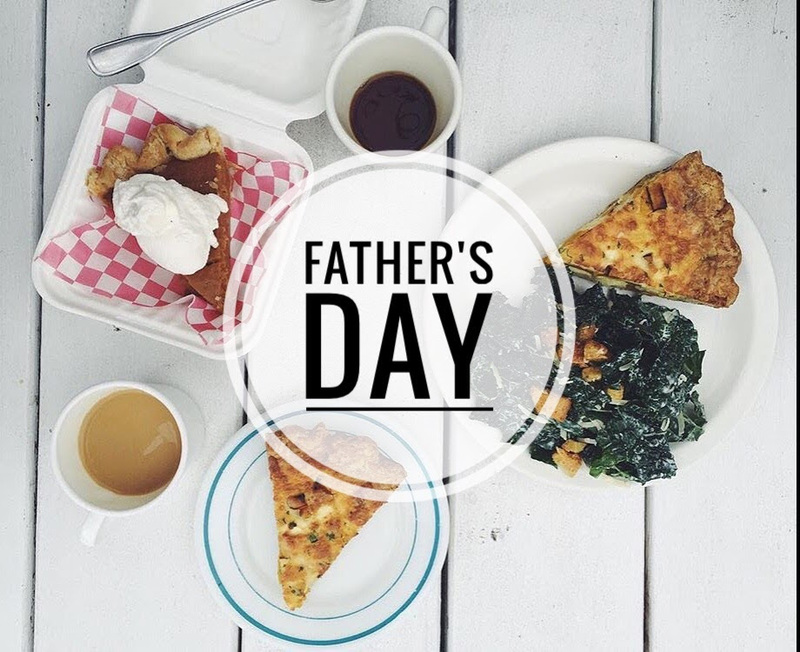 If your dad loves pie (and we’re almost certain he does), we’ve got you covered! ROSÉ SPRITZ FROM CAMERON WINERY: Last weekend we went to a winemaker’s dinner in Southern Oregon and had the pleasure of tasting the Rosé Spritz from Cameron Winery and got to talking with John Paul, the owner. What a guy! He is bringing us a keg of their new rosé spritz and it’s super exclusive. (Meaning: you can only find it on tap at two spots in town!) It will go great with our sweet/tart fruit pies. If you haven’t had wines from Cameron Winery – you should! They make amazing wine and we’re thrilled to have their rosé spritz on tap. BAKER’S SALAD GETS A WEDGE MAKEOVER: For the month of June, our Baker’s Salad will be posing as a mock Wedge Salad. We’ll be serving fresh snap peas and radishes on fresh cut escarole, spinach, and arugula with our house made blue cheese dressing. (And, of course there will be eggs and bacon!) It’s mighty delicious. We usually save this section to highlight our favorite seasonal pie, but we thought it was high time that we draw your attention to our insanely delicious brownies. First, we have our classic Sea Salt Brownie with Chocolate Ganache. It’s so rich and decadent that it’s ALMOST too much brownie for one person (but it’s been done before). And we’ve also got a our Salted Caramel Brownie, which is a combination of all of the best things in life. Instead of a chocolate ganache center, we fill it with a house made sea salt caramel sauce and it is SO good. Cater Your Next Event with Lauretta Jean’s! We provide handmade pie, quiche, & pastries baked from scratch each morning and delivered directly to your office or home. Complete your order with a hot, freshly brewed carafe of Water Ave. coffee! Our catering menu includes pie, quiche, biscuits, pastries, savory hand pies, mini pies, and coffee. For catering orders, inquiries, & pricing contact: kate@laurettajeans.com.